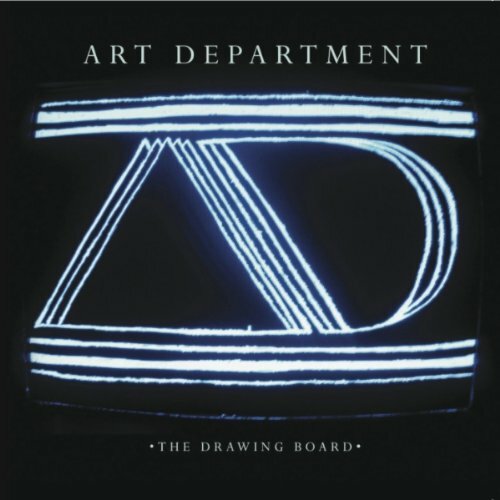 Art Department’s The Drawing Board seems to be a nostalgic nod to the house music of the 90’s. Throw in a simple dance beat, syncopated synths and haunting, low vocals and you have yourself The Drawing Board. Consisting of Toronto-based duo Kenny Glasgow and Jonny White Art Department is a group that has many years of experience performing on the dance club scene. Their ability to create simple dance hits is evident in The Drawing Board. What may take some time to adjust to are Glasgow’s out-of-tune vocals which are a staple in almost every song. “ICU” starts off with groovy percussion that sounds like something off of a Friendly Fire’s track, followed by Glasgow’s morose vocals. The eerie keyboard part underneath Glasgow’s “I see you” in the chorus emphasizes Glasgow’s desire to be watched by someone. The drum beat on “In the Mood” sticks out as it has been used on various other tracks, notably Q-Tip’s “Breathe and Stop.” Other than that nothing too significant to mention. The 10-minute “Much Too Much” could have been halved. Its lack of excitement and intensity is what makes it a less enjoyable track. “We Call Love” will have you moving as soon as it begins. The simple yet heavy percussion sounds against the bouncy synths, along with Glasgow’s vocals make this track stand out. “What Does it Sound Like” stands out with a synth part that sounds as if Crystal Waters may have made it. “Without You’s” haunting, low vocals and bouncy synth notes go well with the snapping percussion and dark bassline. “I just can’t make it without you” sings Glasgow, the ghostly lyrics echoing over pulsating drum hits. Art Department can obviously arrange a song pretty well; “Without You” was a 2010 house anthem and the evidence is all there as to why. Although most of the tracks are listenable there is nothing here that screams innovation, which works in Art Department’s favor. The simplified synths and percussion make the songs that much more danceable, where the listener or dancer does not need to worry about any sudden changes. People may dislike Glasgow’s lyrics, but the connection between dark lyrics and danceable tracks brings about a common idea in life: we dance and enjoy the night life to get away from the darkness that life can hand us. An idea that house music already knows so well Art Department keeps it going, adding their own take on very familiar territory. It may take a few times to listen through but The Drawing Board keeps things simple, preparing its listeners for a big night out. A very noticeable trend in music nowadays has been restoring “retro” genres back to their former glory. For some genres, this has proven to be quite successful, for others, not so much. Holy Ghost! is an electropop duo from New York that has a very strong disco feel. Almost….too strong. The elements of pop and electro are very much present in the sound of their self titled album, but they are quickly derailed by the very off putting disco vibe that unfortunately remains consistent throughout each track. Synthesizers and drum machines are still a very huge part of modern music, and they are utilized very well within this band, just not in a very appealing musical sense. I feel as if Holy Ghost! would have much greater success gripping onto the pop and almost new-wave sounds present in their sound, and throw out the disco altogether. There are some note worthy tracks on this CD though, such as Wait and See, which is a very reasonable blend of the above genres. 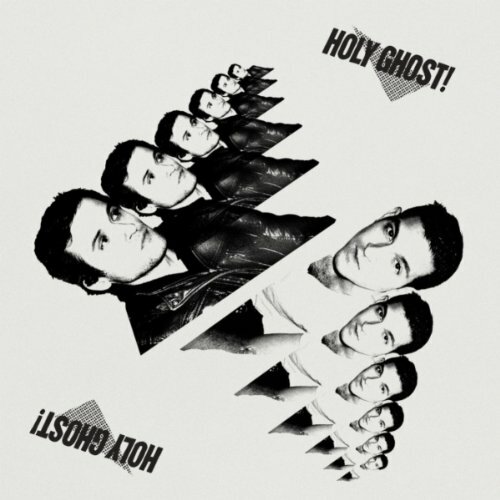 When operating as a fairly average electropop outfit, Holy Ghost! manages to retain the attention of its listeners far better than trying to revive genres that have been dead for over 30 years. It’s Not Over is another friendlier track on the self titled record. It does have a very strong retro feel to it, but in a very tasteful way. Some of these songs breach the 5+ minute mark, which is a little excessive in my book, especially for a band such as this one. The standard 3/4 minutes should suffice, but for some reason some of these songs are drawn out far too long. Static on the Wire is a perfect example of this, reaching a ridiculous length of 6:28. Without much to offer, tracks like these become very old, very fast. This record is not a complete loss though, there are definitely some very ear friendly tracks available like the ones mentioned above. The only problem is they are meshed in with disco infused nonsense that will make most wonder why they bothered in the first place. I’m sure there are quite a few people out there that will favor the vintage sound said tracks have to offer, but I see a far greater potential in Holy Ghost! to create truly remarkable music that does not draw off of dead trends from the early 70’s. All in all, my impression of this self titled record is mixed, the songs that stand out in a positive way really stand out due to the abundance of bad ones present. Listening through, one will notice the increasingly persistent disco sound creeping into the base sound of Holy Ghost!, and that’s where it takes a nose dive. There is still much growth and experimentation left to do in my opinion before this band truly finds their niche, kudos for a good first try though.